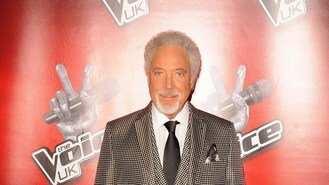 Sir Tom Jones and Madness have been announced as two of the performers at the Children In Need Rocks concert. The annual show put together by Gary Barlow will feature both acts on the second night of performances at Hammersmith Apollo, according to Digital Spy. Concerts take place on November 12 and 13, and sharing the stage with Sir Tom and Madness on the second night will be Gary, Keane, The Lumineers and Little Mix. The first night of the concert includes performances from Kings Of Leon, Barry Manilow and Robbie Williams. All proceeds from the event will go towards Children In Need's final total and the televised fundraiser will be aired on November 15, fronted by Sir Terry Wogan. James Arthur's fight with One Direction has shown no signs of dying down as the Impossible singer ranted about boybands on Twitter. McFly and Busted have teased possible plans to team up and form a supergroup. Taylor Swift has claimed her fans aren't disrespectful like those of other artists. Janis Joplin has been honoured with a star on the Hollywood Walk of Fame more than 40 years after her death. There were two wins for One Direction at the Radio 1 Teen Awards. "Heroin, it's my wife and it's my life," a woman reads to a crowd of about 100 fellow mourners at a wake in north London. Eminem and Rihanna have scored this week's number one single - leaving boy band One Direction trailing behind at number four with their new release. Kanye West has postponed the rest of his Yeezus tour after a large LED screen used during his shows was damaged.